Ecommerce is a great area to be in, but it’s also hard. You don’t have to just fight against the behemoths like Amazon or Best Buy. You also have to deal with new smaller competitors that seem to be popping up every single day. With all there is to achieve in email marketing automation, it’s important that you have some amazing tools in your arsenal. But listen: what’s the use of great tools if the strategy is missing? Lots of ecommerce marketers are simply following the inertia of the market and their previous practices. But they’re not really going after what’s important. And that’s what we’re going to help you with today. But be warned: this isn’t something that you can just digest in one sitting. You’ll need time and practice to really understand these 12 powerful email marketing automation strategies. In Part I, we’re looking at the best practices you should be using to have amazing results with your email marketing automation. These aren’t just based on the features that your marketing automation service provider has. It’s also about having a strategy to use those tools to their fullest. You already know that all of your customers or subscribers are not the same. So why are you sending them all down the same customer journey? It’s not enough to simply send out newsletters anymore, not in this competitive ecommerce environment. Instead, you’ll need to make sure that you can identify and separate your subscribers and customers into different segments. After that, you’ll be able to send them on different journeys, with relevant offerings, educational information and more. For example, let’s say you want to get in touch with inactive customers. You can simply create a segment of customers who haven’t bought from you in the last 60 days. So, using Omnisend’s segmentation, here I’m making a segment of anyone that made an initial purchase within the last 90 days worth at least $20. For marketing automation in ecommerce, however, you can go a bit more advanced than that to give your customers truly unique experiences. 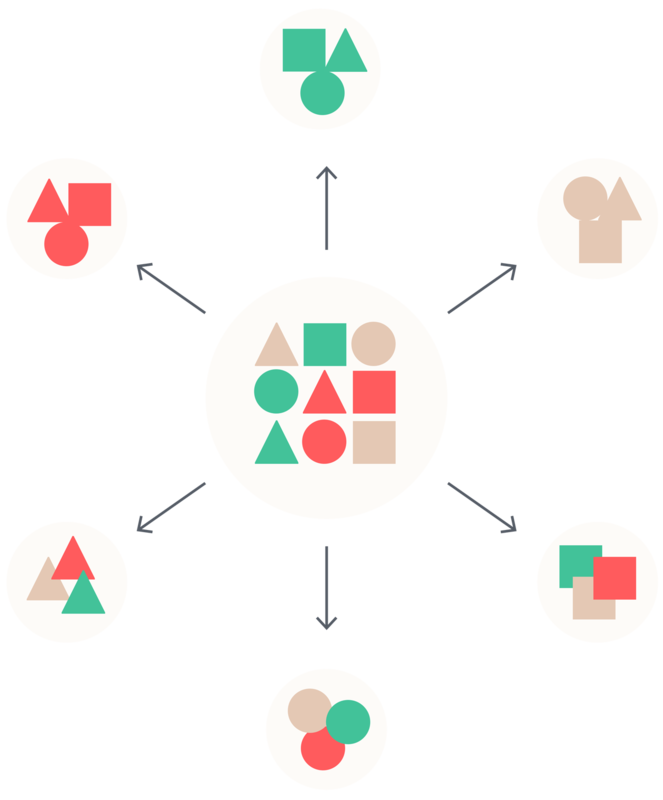 There are lots more great things you can do with segmentation, but I’d hate to repeat myself. After all, I’ve already listed them in my article on smart segmentation. Check that out if you want to learn more in-depth info about how to use segmentation wisely to really improve your sales. Using behavior and preferences is a very strong marketing automation tactic and allows you to strike when the iron is hot. But make sure you figure in what I call “interest lifespan”. This is incredibly important in B2B email marketing, but also in consumer ecommerce. Take, say, DIY home improving for example. Believe it or not, people aren’t interested in toilet seats all year ’round. They typically don’t collect them. A bit longer interest lifespan would be kitchen remodeling; even longer is rented house or house owner or family composition. If you tag someone for an interest, make sure you register the date. At the end of the typical interest lifespan, you can return to your normal programming or re-calibrate/confirm that they are still interested. Understanding your customers and responding to them is an important part to catering to them. If you want to guide them to the right action, you’ll need to understand how they navigate your site. That’s why accurate tracking is so important. 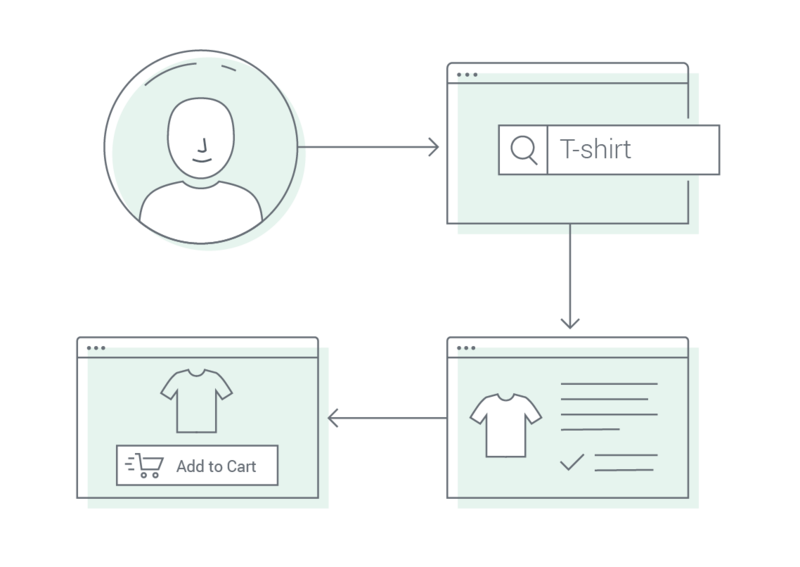 You can do some amazing things with Google Analytics to help see your customers’ journeys—even before they’ve bought anything from you. You can also use features like our Live View web tracking, which lets you see the actions your users are taking in real-time. This is broken down into known and unknown (anonymous) visitors. You can see what they’re doing, what pages they’re visiting, when and how often. You can see in varying degrees of detail, if you’re using Google Analytics or web tracking, what the actual steps are that your visitors are taking. For the most popular pages, you’ll be able to highlight them more often to the relevant audiences. When you have that information at your disposal, you’ll be able to do other parts of your marketing better. You can put your most popular products on your popups and highlight them in your email campaigns. Now that you can see what your visitors are doing, you’ll also be able to see what their buying intentions are. If you see that your visitor has come back to a certain product or category page multiple times, you can see that they have a high interest and strong buying intention. With that information, you can send your known visitor an email to get them to purchase from you. Test, and test often: superior ecommerce marketers understand the necessity of regular and consistent testing. That’s why A/B testing is so important for your email marketing automation strategy. Instead of trying out one idea at a time, you can set up your communications so that two versions of the same message go out, each with different things you want to test. 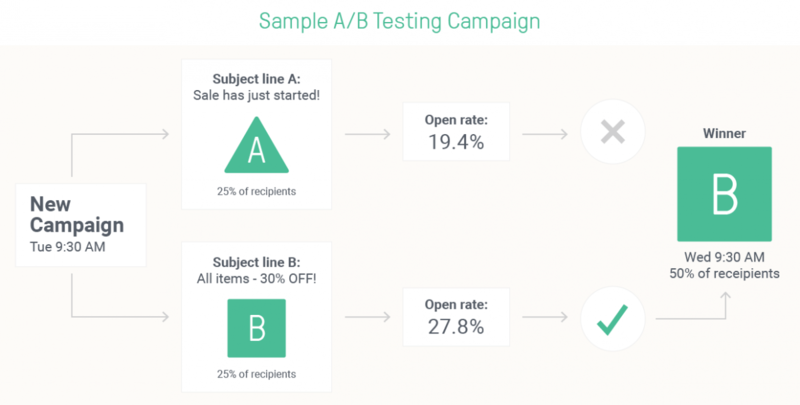 One great area where you can use A/B testing is in your email marketing. Test the subject lines with a different discount to see if % or $ signs work better for your subscribers. Test the same subject line with and without emojis. You will get valuable insight into how your subscribers react to emojis. If positively, emojis will help you get noticed every time you email your list. Test subject lines with the subscriber’s name included and removed. See if using their name works better. Don’t forget to review your list of subscribers to see if all the names that the subscribers have entered are valid. Try different versions of subject lines, ones indicating limited-time offer and ones without it. You’ll understand if your subscribers react to this kind of pressure to click on the email and buy. Test if sending email campaigns from a person or using your business name generates better open rates. The same could be tested with the sender’s addresses–test a general business email address (e.g. hello@mybusiness.com) vs. your personal one (name@yourbusiness.com). Email marketing automation really is all about the subscriber, especially after the implementation of the GDPR. After all, if you get someone to buy from you the first time, they’ll be much more likely to buy from you again and again. A great way to get them started is to have them sign up through any of the signup forms on your website. But if you want to compete with the serious players, you need to play more seriously. That means you’ll have to use advanced signup tactics in your ecommerce marketing automation strategy. 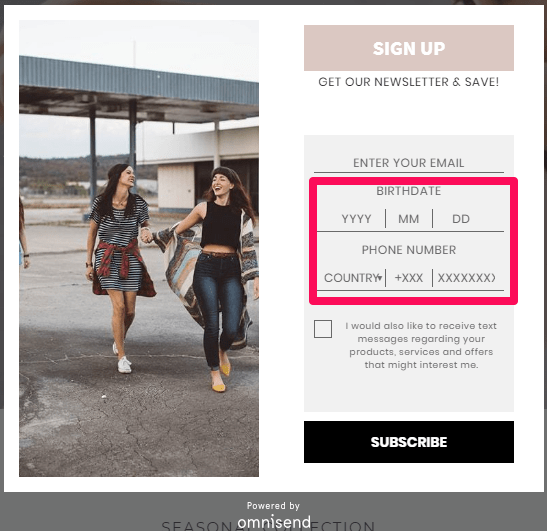 One of the first thing you want to do to improve your visitors’ experience is to disable popups specifically for those users that are already signed up to your campaigns, such as your newsletters. This is pretty easy to do. 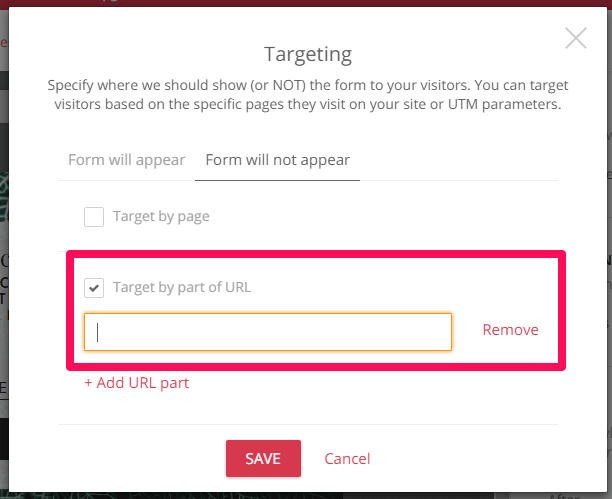 All you’ll need to do is make sure that you have the specific URL from your UTM parameters. 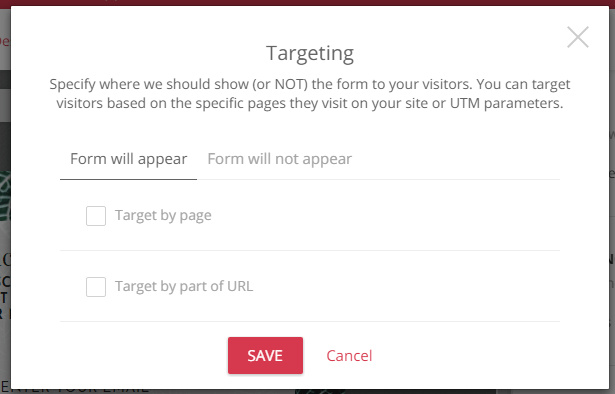 All the links that lead to your store will have similar kinds of UTM parameters, which you can use to disable popups to visitors coming in from your newsletters. To not show your popups to visitors coming in from your newsletters, target them by URL. That way, anyone with that UTM parameter will not see any popups. With the same idea of making sure your popups don’t show to specific people, you can make sure they do appear for specific people. Here, you can show your popups only to people who visit specific pages, like your product page or other informational pages. That way, you can provide those users with specific offerings. 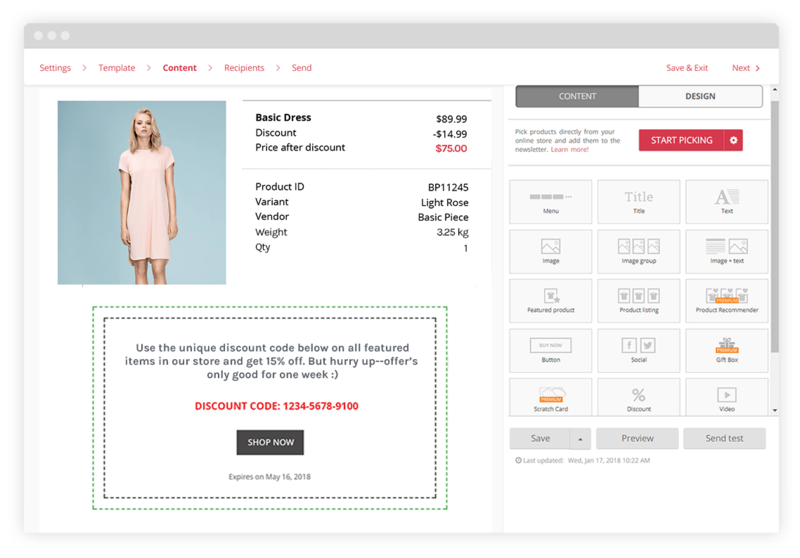 For example, if you noticed that a specific product page has high views but not many conversions, you can set a special popup to only show for that page. Another way to use this is with the special UTMs I mentioned above. That way, you can offer specific discounts or incentives only for users that are coming in from specific sources, such as Facebook ads, and not show those same offers to all your visitors. Segmentation is a powerful way for you to divide your subscribers and customers into smart groupings, while automation allows for your emails to be sent out on auto-pilot. That way, you can offer much more targeted messages to only those recipients that will really benefit from it. In order to get greater data for segmentation, you’ll need to ask the right questions in your popups. The standard popup normally only asks for visitors’ email addresses and that’s it. But you can go further with smart popups. When you know a user’s city, country, gender, and other information, you can segment your lists much more efficiently. You can also use automation to its fullest with greater information. For example, one of the highest-performing automated emails is the birthday email. They have a 45% open rate on average and 5x the conversions of regular emails. But in order to use them, you need to get that information from your popups. 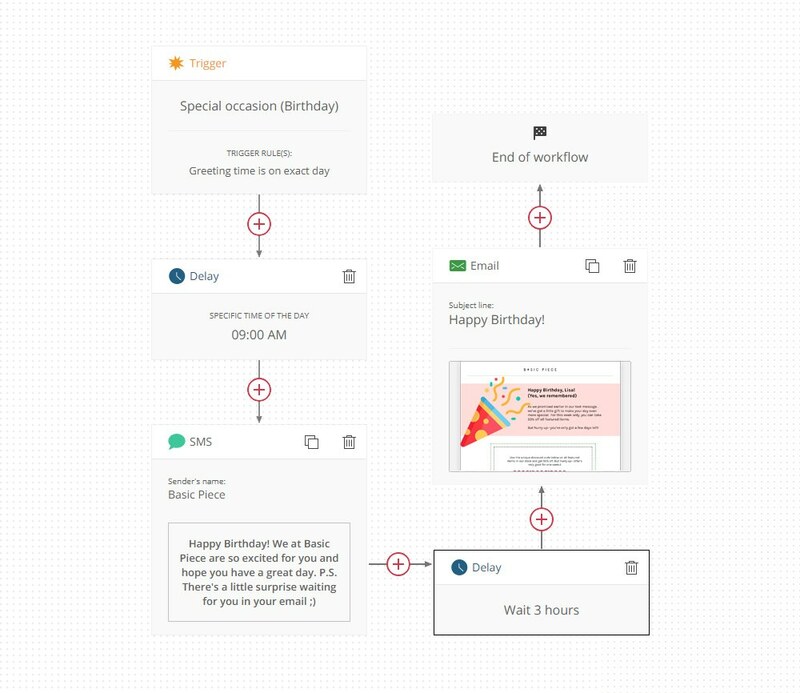 That way, you can use your automation workflows to send out birthday emails (and great offers) automatically to your users. Want to get in-depth analysis? Click here to download your free copy of ‘5 Ecommerce Marketing Automation Case Studies’ today. Part II of our comprehensive guide to email marketing automation covers the 3 most profitable automation combinations you need to be using in order to see some great results. You’ll notice that all of these are series of emails, not just a single email. That’s because based on our data, series of emails can bring in 69% more sales. And that’s why you need to be using them in your workflows if you really want to improve your sales. According to a BlueHornet survey, 74.4 % of customers expect a welcome email when they subscribe. Welcome emails also generate 3 times higher open and click rates, and even 5 times higher revenue compared to other promotional emails. 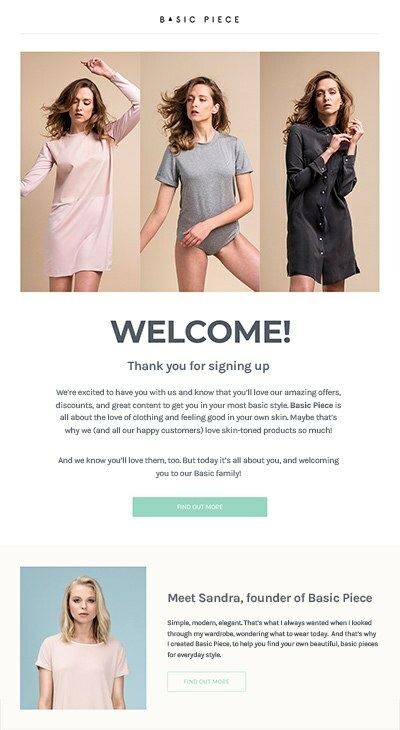 A welcome series of three emails in a row helps to introduce your new customers to your brand, and encourage them to buy within a targeted period of time. Here’s a quick layout of the welcome email series, using Omnisend’s automation workflow. In the first email, you want to make sure the recipient understands who you are and what you do. It’s important here to make a great first impression. 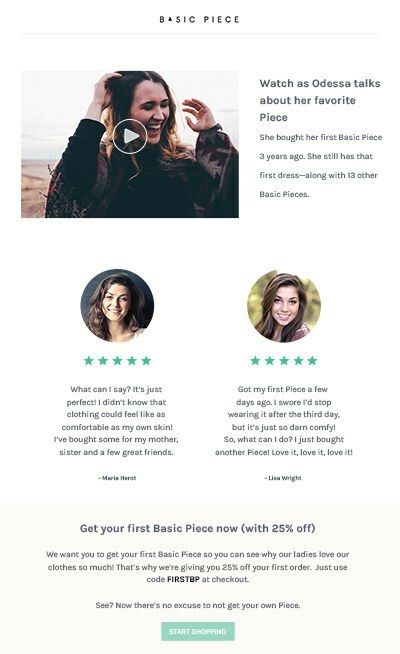 Here, with our example store Basic Piece, we’re showing the big beautiful images that a user would probably have found on our store, but then focusing in the body text on what we believe. Our example email marketing strategy is based on building our brand in the recipient’s mind, reflecting quality, luxury and simplicity, which will pay off in the long run. 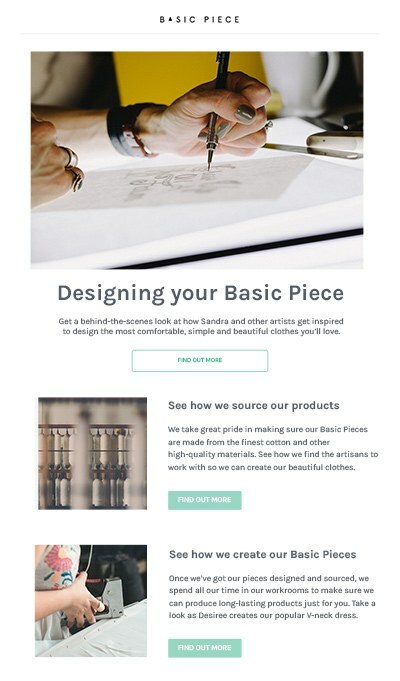 In the second brand-building welcome email, we’re going to be showing our subscribers a behind-the-scenes look at how we design, source, and create our products. This will help us to hit the same notes of quality, luxury and simplicity when it comes to our clothing. Is this a good time to hit them with a discount offer? That’s possible, but you don’t want to take money out of your own hands. If we’re going for quality and luxury, we’re not aiming at the logical (price) part of the brain. We’re going for an emotional connection, which leads to better customer relationships, higher repeat purchases and a longer CLV. After all, the whole point of these workflows is to improve sales, whether on a shorter- or longer-term basis. Here, we’ll show off how happy our current/former customers are with their Basic Piece products. These can be video/Instagram reviews, or simply text/5-star reviews. Then, the offer comes at the end. Here we’re adding a discount code plus the CTA that says “Start shopping”. Want to get more in-depth with welcome emails? 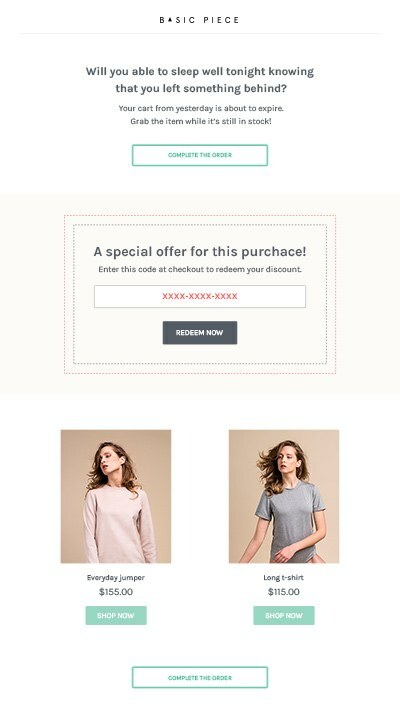 Check out our articles on how to convert subscribers into buyers with welcome emails and 5 ideas for top-notch welcome emails. 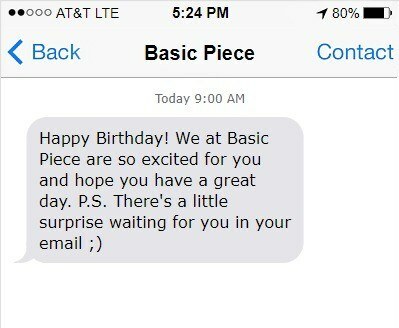 A birthday email is an automatically sent notification to a subscriber/customer on his/her birthday (or several days before that). Showing personal attention, as well as offering a discount for any order (+ some extra days), yields great results. Salesforce research revealed that 75% of companies that send these kinds of emails assess them as very effective, and only 6% see little or no value in them. 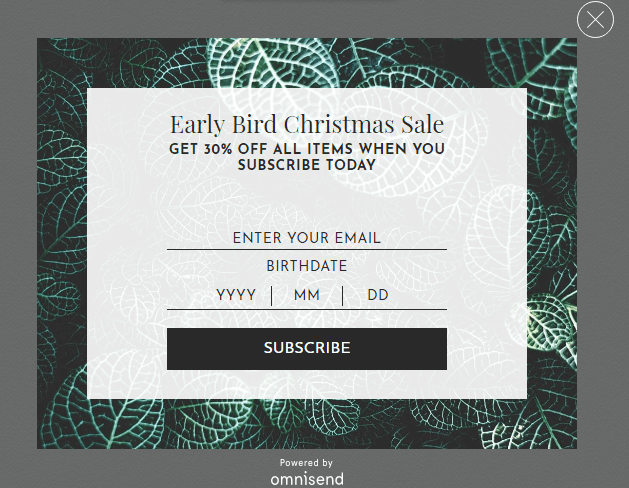 Omnisend client data shows that those ecommerce businesses which implement this email marketing tactic get about a 45% open rate, 12% click rate and 3% conversion rate. However, it’s important that you grab your subscriber’s birth date when they sign up, or else you won’t know when to send out the birthday messages! For our workflow today, you’ll also need to grab their phone numbers. A great birthday series involves sending a text message on the subscriber’s birthday (in the morning) wishing them a happy birthday and letting them know that a gift is waiting in their inbox. Then, set the email to go out as the second item, which will include the gift—a discount, free shipping, or whatever else you think would be appropriate. We’ll set the SMS/text message to go out at 10am on the recipient’s birthday. That way, they’ll get the message early in the morning, but not too early so as to annoy them. The second message will be an email. Here, we’ll go for color, visuals, and of course the great gift. A discount and/or free shipping. Don’t be too cheap with a small discount. it’s a birthday, therefore a gift should be more impressive. Extra time to redeem the discount. Make it valid for at least one more week after the birthday. Using this kind of workflow will lead to proven increases in your sales. For more ideas on birthday emails, we’ve got you covered. 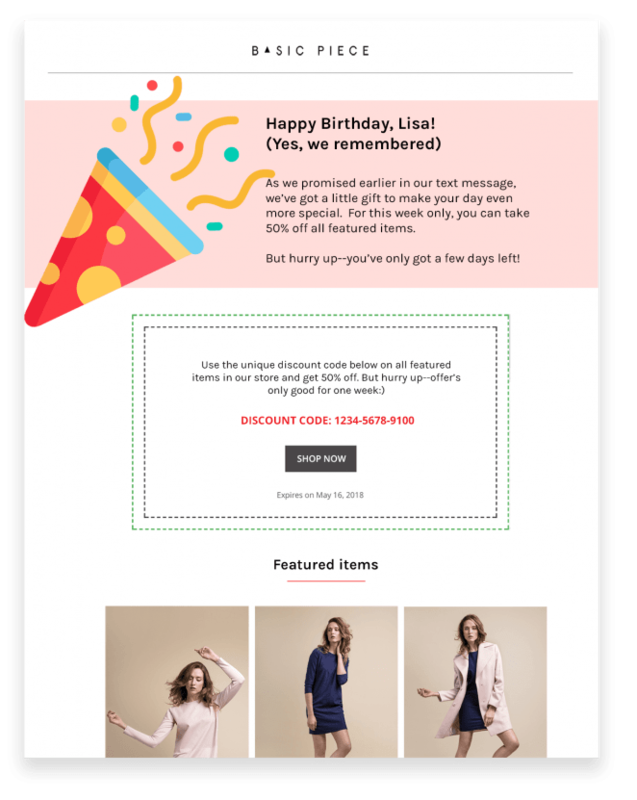 Read our article on birthday emails tips and best practices. The cart recovery or abandoned cart series is an automated series of 3 emails sent to a customer who has recently added items to their cart but didn’t buy it. The data for abandoned carts is being fetched from an online store when the visitor has logged in or has entered his/her email address at the checkout. In case of Omnisend, the cookies in the visitor’s browser is an additional source for this kind of information. This kind of automated emails is highly effective. This is just one of the examples: the average conversion rate of the promotional newsletter is 0.17%. Meanwhile, abandoned cart emails enjoy an order rate of 4.64%. However, only 20% of retailers are taking advantage of this opportunity, meaning 4/5 ecommerce marketers are leaving lots of money on the table. Remember, cart recovery series of emails can bring in 69% more orders than a single cart recovery email. In fact, that’s what helped Snatcher Online make more than $120,00 from using the cart recovery automation workflow alone. Omnisend’s standard cart recovery email series can be taken as a good example of what you should be doing. This email is sent 1 hour after a shopper abandons their cart. It is pretty straightforward and non-intrustive, letting shoppers see what they left behind and giving them a quick chance to get it back. 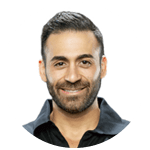 This email goes a bit further in convincing recipients to complete the purchase by introducing the benefits of buying now, which is that the shopper will increase their happiness. Here the urgency is introduced in the last email in the series to apply some gentle pressure to the shopper in order to get them to buy. In order to sweeten the deal, we’ll also add in a discount code, similar to what is included in the second birthday message. Click here to download your free copy of ‘5 Ecommerce Marketing Automation Case Studies’ today. Because ecommerce email marketing is such a big, wide area, and email marketing automation has so many options and applications, there’s also a lot of room for error. But, if you want to succeed in your business, you have to make sure you avoid these 5 most common mistakes. After all, strategies are as much about what you should be doing as about what you should not be doing. When customers and subscribers are thinking about your brand, they’re not just thinking about how cool your emails look. They’re considering your products, and how you communicate with them. The style, the tone, the mood, the images. In fact, your customer relationship shouldn’t be about a specific channel. It should be about a specific message, no matter what channel you’ll need to use to get that across. So why do so many marketers just limit themselves to one channel? Email marketing automation is about triggers or actions that cause messages to be sent out to the subscribers. But you can use more than just email—and you definitely should, if you want to remain competitive. Use SMS/text messaging. Retarget on Facebook. Do what you need to do to get your message across. Just make sure your messaging is integrated and consistent, and your customer relationships will flourish. 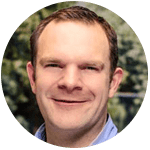 The fundamental mistakes that hold back businesses from seeing ROI on marketing automation both fall along the lines of multi-channel marketing. First, too many business use automation to optimize either (1) onsite experiences or (2) email.Instead, business ought to automate cross-channel promotions. In addition to retargeting at the product- or feature-page level — to ensure intent-marketing match and save your budget — this means automating high-value campaigns like reducing abandoned carts or upselling current customers using messaging apps and direct SMSs.Second, over reliance on automation for social media can lead to a ‘one-size-fits-all’ approach that disincentives audiences from following and paying attention to your content on different platforms. Loading up single posts and sharing them indiscriminately using tools like Buffer, Edgar, or CoSchedule saves time in the short term, but burns your audience over the long. Here, automation gets you half way by aligning campaigns. The extra step only a human can take is to then customize that message channel by channel as well as create channel-specific exclusives. If you want to use great automation and segmentation, you’ll need to have greater data. 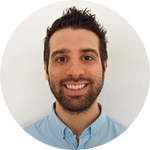 This is something that you’ll need to collect from the first signup so that you can have more robust options in your marketing automation. With Omnisend, it’s pretty easy to get that extra information. 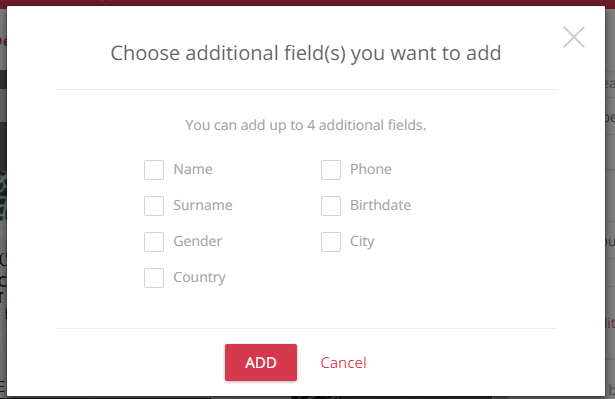 You can simply just add the fields in your signup forms. If you have their birthdates, then you can set up the birthday automation workflows we mentioned above. And, with their phone numbers (and GDPR-compliant consent to market to them on that channel), you can send them the powerful text message-email combination, as well as straightforward SMS/text messaging campaigns as standalone messages. But without that data, you won’t be able to use those powerful email marketing automation features. While it’s incredibly important to send out consistent and relevant emails to your audience, you must also constantly work to grow your audience.A targeted email campaign can certainly boost your sales, but ultimately, adding more emails to your list is going to be the backbone behind your company’s growth.My best tip for collecting emails and growing your email list is to put forth a lead magnet. This can be an e-book, a discount code, a podcast download, or any sort of premium content that a site visitor might be interested in. Simply place this on your site and request an email in exchange–there you go, a lead magnet. Getting someone to buy from you is one of the first goals you have as an ecommerce marketer. But getting that same person to buy from you again is an even bigger goal. Of course, you probably already know that it’s 5-25 times cheaper to keep a customer than to acquire a new one. And that customers who’ve already bought from you are 5 times more likely to buy from you again—if they’ve had a great experience. 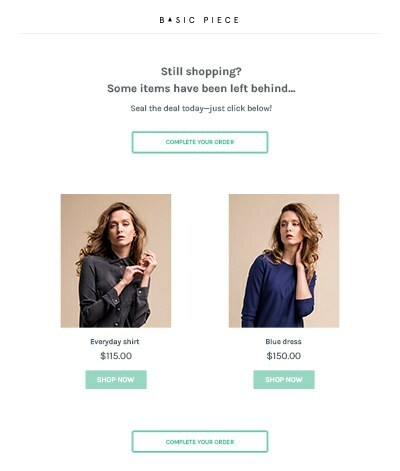 So why are so many ecommerce marketers stopping after the first sale? That’s when all the real money is going to be made. Instead of putting the first sale as the end of your marketing funnel, it should be closer to the beginning. 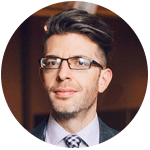 Then, once they’ve bought from you, you need to make sure you have your workflows set up so that you can create loyal, repeat customers out of them. 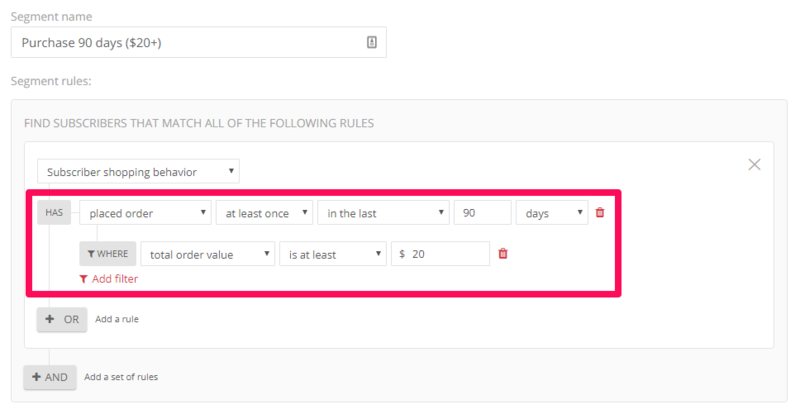 Secondly, you’ll also need to make sure you’ve got your customer reactivation workflows set up. That way, if a customer hasn’t bought from you in, let’s say, 60 days, they get reactivation emails that will include a great offer or discount. Sales are important, but more often than not, ecommerce marketers are focusing on the quick, short-term sale rather than the long-term one. This short-term strategy usually involves getting a user to go from first-time visitor to first-time buyer as quickly as possible. That’s why many brands offer super discounts, free shipping, and other great perks. But it’s also important that you focus on the long-term strategy: building up your brand and focusing on the customer journey. The customer that knows more about a brand, can trust that brand, and can resonate with its goals and ideals, will be much more likely to buy a lot, and a lot more often, than a customer that simply buys because of price. Listen: the battle for low prices is always a losing one, as more and more competitors come into the market. Instead, it’s important that you position yourself in a unique way in the market. That’s what Net-A-Porter did, and why they’re the biggest luxury online retailer (in the highly-competitive fashion niche). 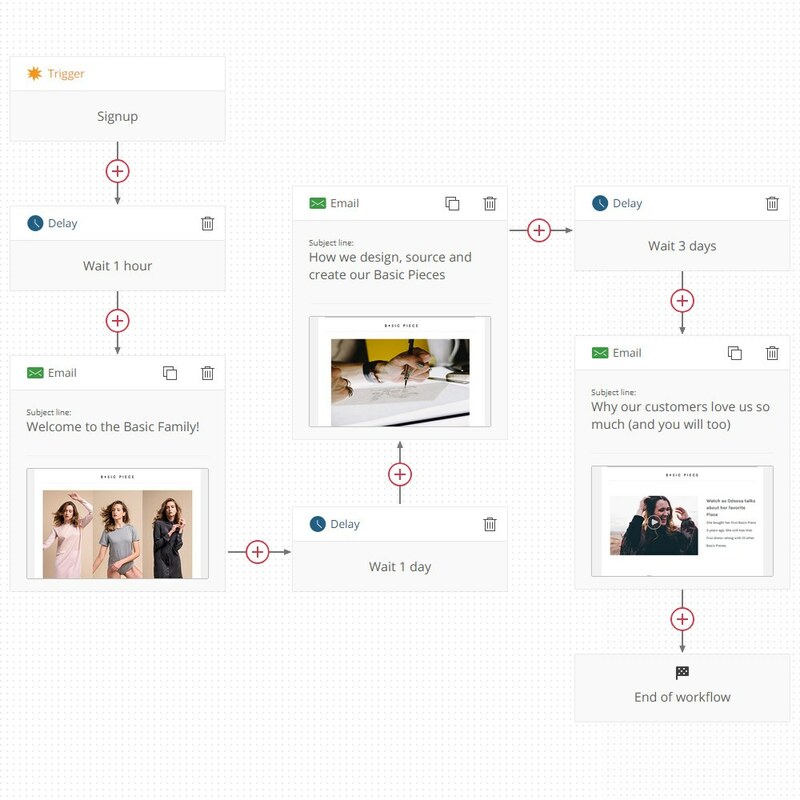 You can add a lot more workflows (especially custom ones), but these will ensure you’ve got most of their customer journey mapped out and are proactive in keeping them active, lifelong customers. That’s the long game, and it’s truly worth playing. 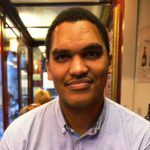 Let me get straight to the point: tips and tricks are not long-term strategies. Best practices are long-term strategies that have been shown to be effective over and over again. And there is one consistent best practice you need to keep as the core of your strategy: providing great customer experiences. It’s the one consistent in the rapidly changing commerce environment. And if you keep working on providing great customer experiences, then you’ll probably understand how important it is to continue updating your marketing strategies. 30 years ago, websites weren’t necessary for commerce. In fact, they were just a trend. But now it’s absolutely crucial. New marketing channels and features are constantly being introduced, and it’s important that you stay up on them. That’s why at Omnisend we’re so focused on adding new important features to our expanding email marketing automation platform. It’s the main reason we release our What’s Next roadmap at the beginning of every year so you can see what features we’re planning. 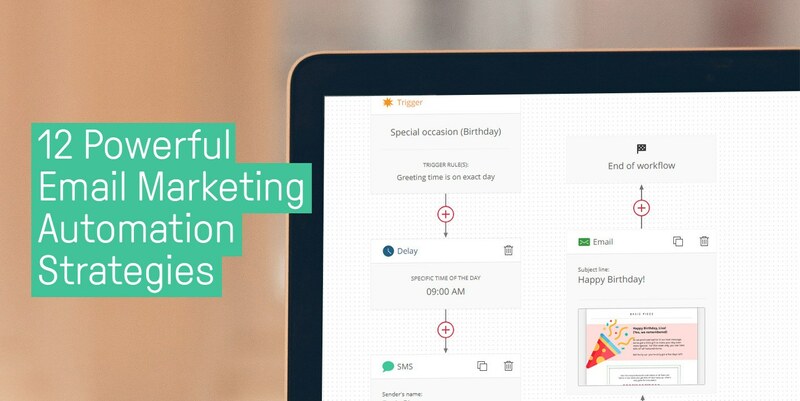 If you stay informed about powerful new marketing automation features, you’ll find better ways to provide for your customers and respond to them with the right message. If not, you’ll be stuck using the same tired strategies that just don’t work anymore. Email marketing automation is a powerful, big arena with lots of complex moving parts. But luckily, getting started is pretty simple. That way, you can get started with a 14-day free trial and see all the automation workflows that can help to improve your sales. But, like any other tool, it’s only as valuable as what you use it for. 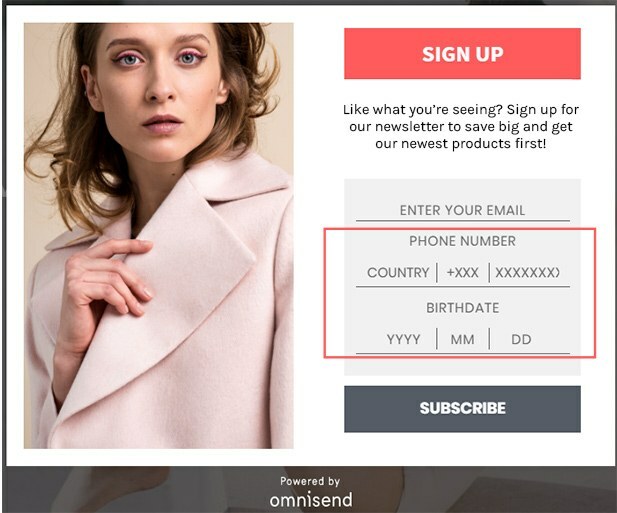 Omnisend is an out-of-the-box marketing automation platform, but without a coherent ecommerce strategy behind it, it just won’t deliver strong results. So now I’ve given you 12 great strategies you can use for your email marketing automation. 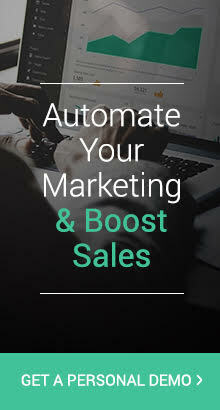 I’ve even given you a free trial to a powerful email marketing automation platform you can use to start testing out these strategies today. If you follow these strategies, I can guarantee you’ll see some significant improvements in your branding, customer loyalty, and sales.